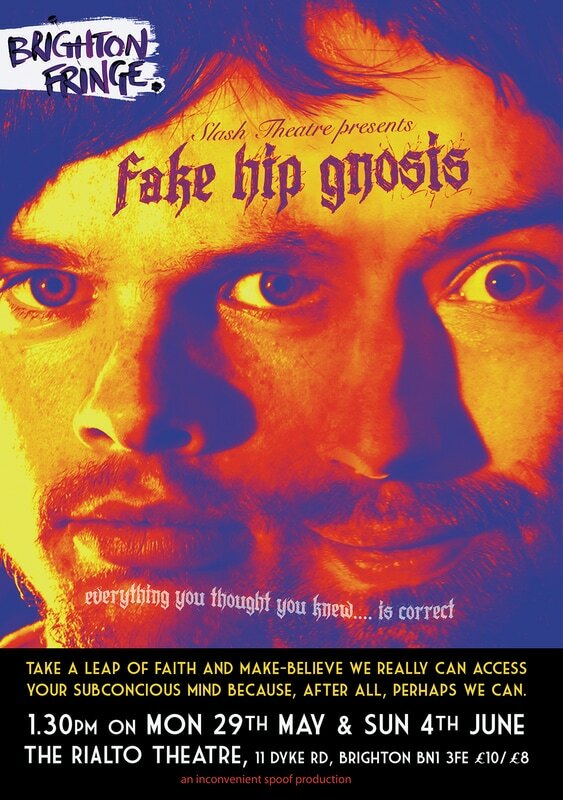 FAKE HIP GNOSIS - Promo Dual from Cat and Mouse Theatre on Vimeo. ​Fictitious avant-garde performance troupe, ‘Slash Theatre’, share their research into the uncanny links between the trance induction techniques of Milton Erickson, the body enhancement practices of today’s would-be cyborgs, and the shamanistic rituals of the North American Kickapoo tribe. Devised from fragments of hypnotic tracks and first hand accounts of transcendental experience, this show has the look and feel of an absurd comic parody, whilst subtly engaging with questions of purpose, free-will and self-belief. Does the impulse to mock the self-help gurus of today stem from a fear of disappointment or of ridicule? Is scepticism a defence? 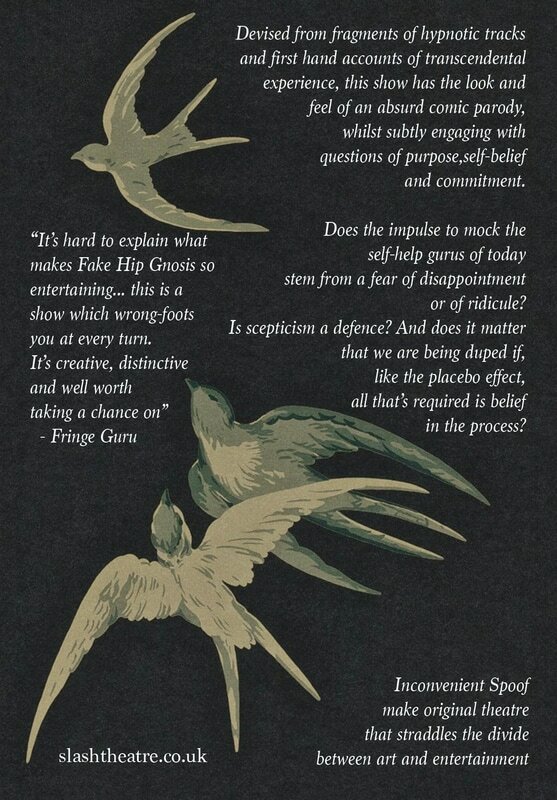 And does it matter that we are being duped if, like the placebo effect, all that’s required is belief in the process? And so, in cheap wigs and bad accents we invite the audience to take a leap of faith and make-believe we really can access their unconscious minds and transform their lives: because, after all, perhaps we can. Full of surprises and shifts of tone, Fake Hip Gnosis speaks to that camp desire to believe in earnest in those things our intellect tells us are ridiculous.